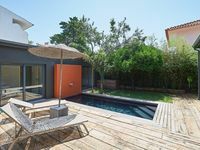 One bedroom cottage with pool set in tranquil settings. Property 6: One bedroom cottage with pool set in tranquil settings. Páteo d'Village - Refugio of tranquility and comfort. 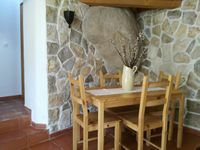 Property 20: Páteo d'Village - Refugio of tranquility and comfort. Family time, peace and great views - Arrábida Natural Park! Property 38: Family time, peace and great views - Arrábida Natural Park! Property 49: Hostel Casa "A Portuguesa"
We had three nights in this incredible home. Very private, walkable to downtown, very clean and sun-filled. I would recommend strongly to anyone looking to escape and explore this beautiful part of Portugal. Beautiful house in beautiful village. Very welcoming.